Proposing to the love of your life can feel like an overwhelming task. You’ve got the girl, you’ve asked her father for her hand in marriage, now it’s time to pick the perfect diamond engagement ring. What is considered “perfect”? Why do diamonds have different cuts? Princess or cushion shape? Do I spend $500 or $3000 on a ring? 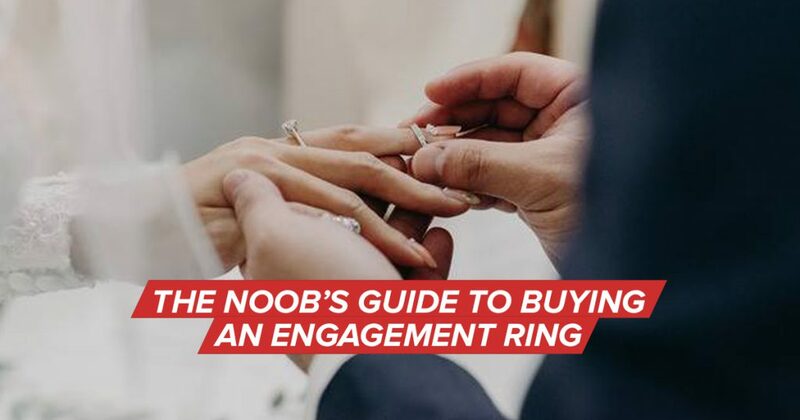 Here’s a guide on how to pick out the perfect engagement ring for the person you’ll spend the rest of your life with. Here’s a simple tip on finding the perfect stone. Just remember the 4 C’s: Cut, Colour, Clarity, Carat. Most people will confuse cut for the shape of the ring (emerald, cushion, princess etc). The cut refers to the diamond’s ability to reflect light. The cut of a diamond affects the diamond’s brilliance; this means if it is cut poorly, it will be less luminous. The colour evaluation of most quality diamonds is based on the absence of colour. The colour scale begins with the letter D – colourless (most expensive) and continues, with increasing presence of colour, to the letter Z.
Diamond clarity is graded using letter grades, which indicate how many visible flaws can be detected in a stone. The closer it is to being “pure”, the higher the value. Diamond carat weight is the measurement of how much a diamond weighs. Diamond price increases with carat weight, because larger diamonds are more rare and more desirable. It’s important to remember that the overall diamond’s value is determined by the 4Cs and not just the carat weight alone. 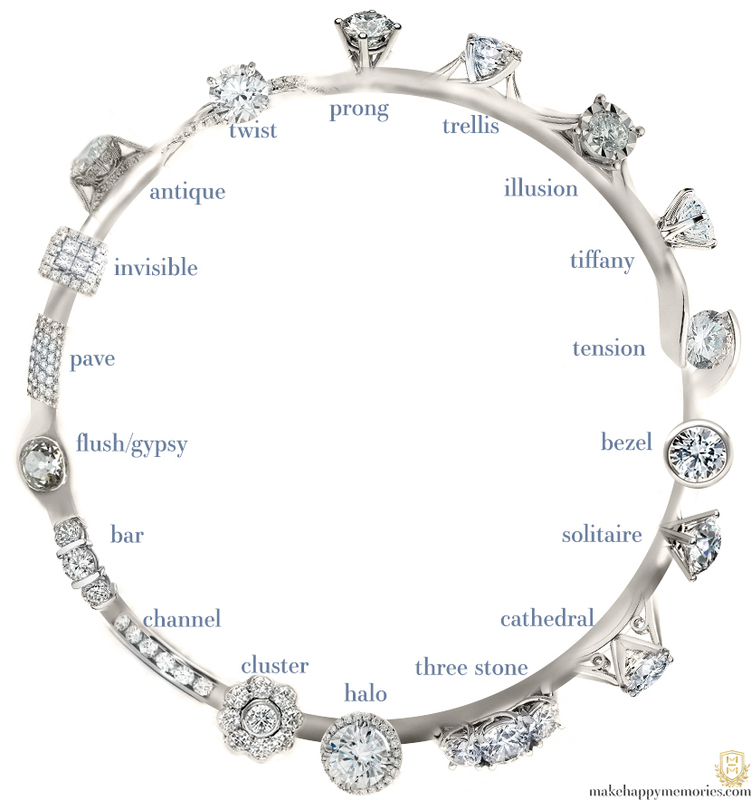 This is a useful guide on the different shapes to think of when picking out the engagement ring. You want to pick out a ring that fits her style and preferences. If she has no preferences and you have no idea which shape to pick, then you can’t go wrong with the popular round shape or the traditional princess shape. 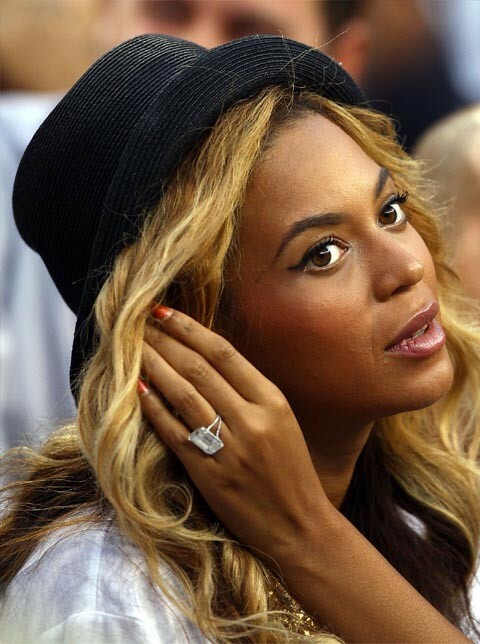 Or perhaps if you know she’s a huge Beyonce fan, Queen B received a gorgeous 18-carat emerald shape diamond engagement ring. Needless to say, it was flawless. Finding the right setting for your engagement ring basically refers to the way the diamond or stones are held in place. Hence it plays an incredibly important job and it dictates the final look and style of the ring. The prong setting is perhaps the most classic and recognisable setting for most engagement rings. Of the prong settings, the most common would be the solitaire setting which draws all attention to the stone with little to distract us like other stones or fancy metalwork. Contrary to popular belief, you don’t have to spend three months’ salary on your engagement ring. There’s nothing romantic about going into a major debt after buying your ring. Establish a budget before you step into a jewellery store. This helps your jeweller narrow down rings that are within your price range. The 4Cs will determine the damage done to your bank account. You can either end up with a $800 or $3000 ring. So budget accordingly and never feel obliged to pay for premium. After all, love cannot buy right? Where Do I Shop For Rings? You can also design a custom ring with a private jeweller or find the perfect ring online from reliable sources like Blue Nile. As we all know, nothing beats heading down to the store and physically handling the ring so you know where your money goes to. Here are several wallet-friendly jewellery stores to find the perfect ring. 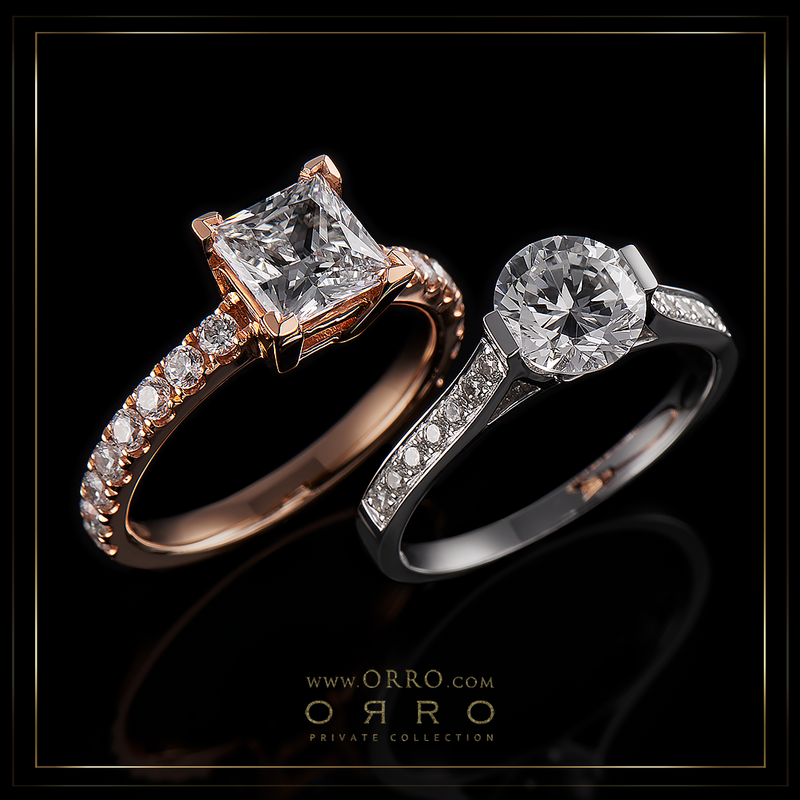 If you’re looking for a diamond ring that won’t cost you over $1000, then ORRO will be your best friend. ORRO certified diamond simulants are often known as the “World’s Best Diamond Simulants”. A diamond simulant is a stone that looks similar to a real diamond and shares some of its characteristics. 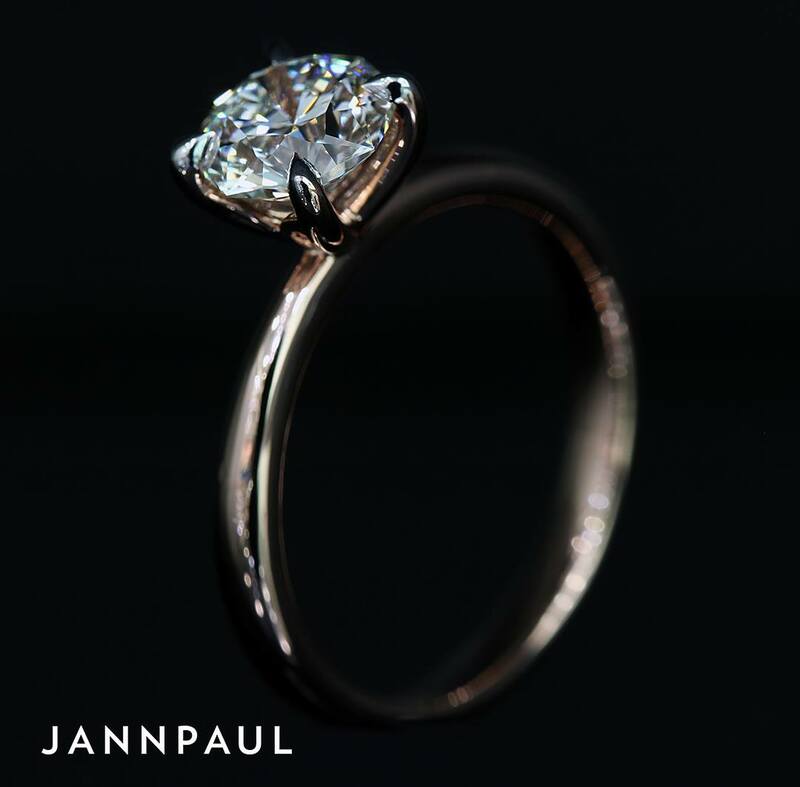 Known for their wallet-friendly prices and high standard of service, JannPaul is the perfect place for clueless boyfriends to buy engagement rings. First timers can expect an intensive crash course in diamonds conducted by staff so you’ll know what you’re getting yourself into. 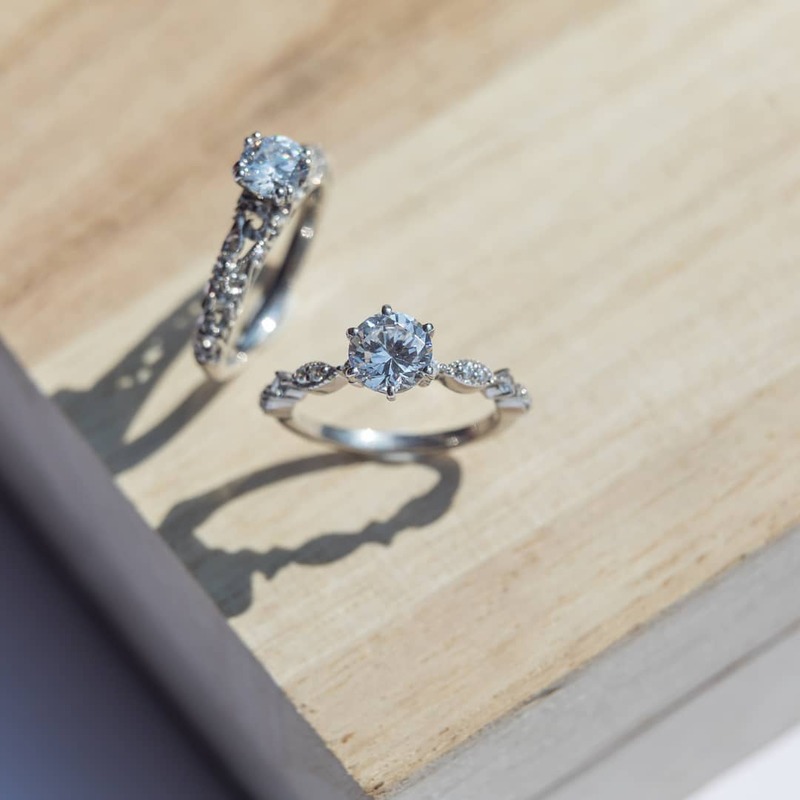 Michael Trio is a boutique and online diamond jeweller that specialises customising engagement rings and wedding bands. There is no middleman involved which enables the purchase of your rings at wholesale prices. Hence, you benefit from the lower prices! Searching for the perfect ring is fun; you just need to decide on your approach. As with any major purchase, it pays to do research when buying a diamond engagement ring. Most importantly, keep everything within or under your budget. You don’t want to overspend on a ring!